The earliest records indicate that my great-great-great-great grandfather was James Westerman, born in the late 1700’s in the Manchester region of England. He married at the turn of the century and had two sons, James in 1807 and Thomas in 1809. Records show that the older son James, my great-great-great grandfather, arrived in Boston, Massachusetts on the Ship Emerald on April 30, 1827, having listed his age as 19, his trade as a coppersmith, and his home as Manchester, England. George Walter Westerman (1831-1913), whose name was also recorded as George Washington Wilbur Westerman, was the oldest son of James and Elizabeth, and was my great-great-grandfather. He was born in Pittsburgh and grew up in Pennsylvania where he became a schoolteacher at the age of 18 before marrying Catherine Scott (1831-1914) in 1851. 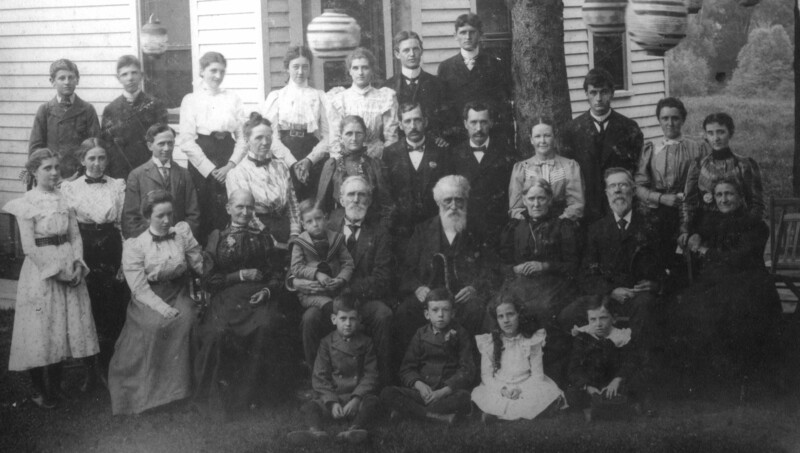 George and his new wife moved to Riga, Michigan at the same time that his father moved there. George became Town Supervisor and Justice of the Peace, and he and Catherine eventually had six children, the oldest sons being the twins Walter and Wallace. George enlisted in 1861 in the Union Army, Company F of the Ohio Infantry. He served three years fighting in the “Great Rebellion”, participating in the battles of Wildcat Mountain, Fishing Creek, Pittsburg Landing, and Cornith. Ultimately he was injured by a falling horse and was discharged with the rank of Quartermaster Sergeant of the Regiment. After the war George was elected as Country Clerk in Michigan and moved to Adrian, the County Seat. Later he was re-elected as Justice of the Peace in 1888, and held that post for twelve years. The 10 children of Walter and Emma included my grandfather Harold Longfellow Westerman. “Papa” was born April 2, 1887 in Adrian, Michigan where he lived throughout his childhood. He married Elizabeth Stanley Boyd (1888-1929) and their three children included my aunts Dorothy and Marguerite. Papa came close to becoming a professional athlete, having been offered the opportunity to play for the Detroit Tigers, but his unwillingness to work on Sunday kept him from accepting the offer. After grandmpther Elizabeth’s death in 1929, Papa married Eleanor and had a son Clifford (1935-2005). Although he spent his early years working for the YMCA and as a farmer, after the Great Depression Papa found work in a variety of sales positions. His health began to fail in the 1940’s, and he lived with my parents briefly in Michigan. He retired not long after, eventually moving to Iron Mountain near his son Clifford where he lived until his death in 1979. My father, Harold Scott Westerman, was born in 1917 in Adrian, Michigan. Before reaching the age of two, he moved with his parents to live on a wheat farm outside Belpre, Kansas (population 225). After 8 years in Kansas, my Dad’s family moved to Lamar, Colorado to run a small farm, and it was there that my grandmother Elizabeth died in 1929. Two years later, my Dad and his two sisters moved with their father back to Adrian, Michigan to live in the old Westerman homestead where Papa had been raised. It was in Adrian where he graduated from high school before enrolling at the University of Michigan in Ann Arbor in 1937. My Dad met my Mom, Shirley Martha Mackey, in 1938 in ann Arbor where she was studying nursing at the university. 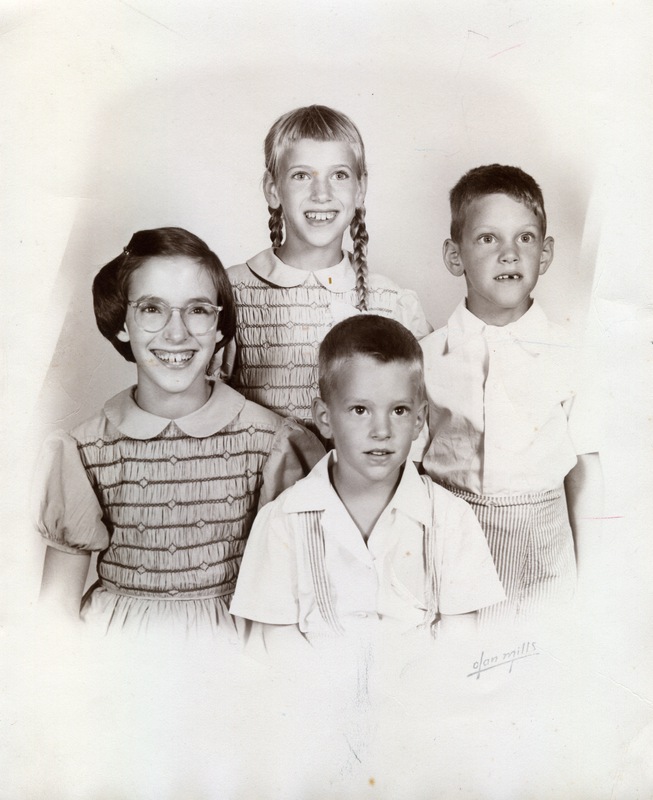 They married in 1940 and went on to have four children: Sandra Jean in 1941, Pamala Kay in 1944, me in 1946, and Gary Scott in 1948. We all moved to Maine in 1049 where Dad worked for 30+ years at the University of Maine, coaching and serving as athletic director. During those years he and my Mom bought and operated Wavus Camps as well, eventually retiring to Florida in the mid-80s. Dad learned the real estate business and sold properties in Florida into his eighties. After he and Mom moved briefly to Maine, they returned to their Florida home where Mom became mysteriously sick and died in 2007 at the age of 89. Dad moved back to Orono shortly after that. After a stroke in January of 2009, he lived at the title Dirigo Pines Retirement Community until his death on December 17, 2011 at the age of 94. Looking for any info on Louis V Westerman born 1904 in Illinois from germany as per 1920 census, i read your above from England hoping for some sort of connection. Hi – wish I could help, but the only things I know are the ones posted. Good luck.